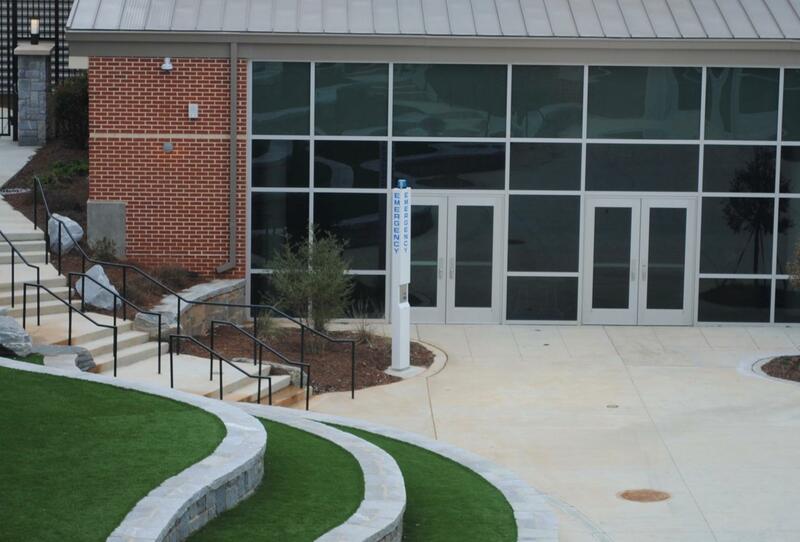 Following the construction of the new courtyard in Decatur High School, administrators have installed a new security system: a blue emergency phone. The emergency phones have been very successful in mitigating crime due to their easy use and bright lights that discourage any would-be perpetrators. The school considers the courtyard an outdoor classroom and thus needs to meet the school classroom requirement of having “a panic button so that we can alert authorities or administration that there’s something going on and need some help,” said assistant principal Susan Weber. These phones are located in parks, beaches, stadiums, shopping centers and college campuses throughout the country. The emergency phones, used when someone needs medical attention or wants to report abnormal activity, “immediately give you a direct line to 911 dispatchers,” said school resource officer Tiffany Edwards. In order to call the police, users only need to click the red button. The emergency phones are also much more reliable than cell phones. “During an emergency, the stress of it all can rattle folks so much that they aren’t able to dial a three or seven-digit number. Just being able to push one button helps with that,” Robin Hattersley Gray, the editor of Campus Safety magazine, said in an interview conducted by Greensboro News and Record. The emergency phones also have features better than security cameras. Blue emergency phones will be a perfect safety precaution for the multiuse courtyard. “Our plan is that it’s gonna be used for a classroom, for classes and assemblies for the community. We are hopeful it will be used for the jazz band or PTA event,” stated Weber.